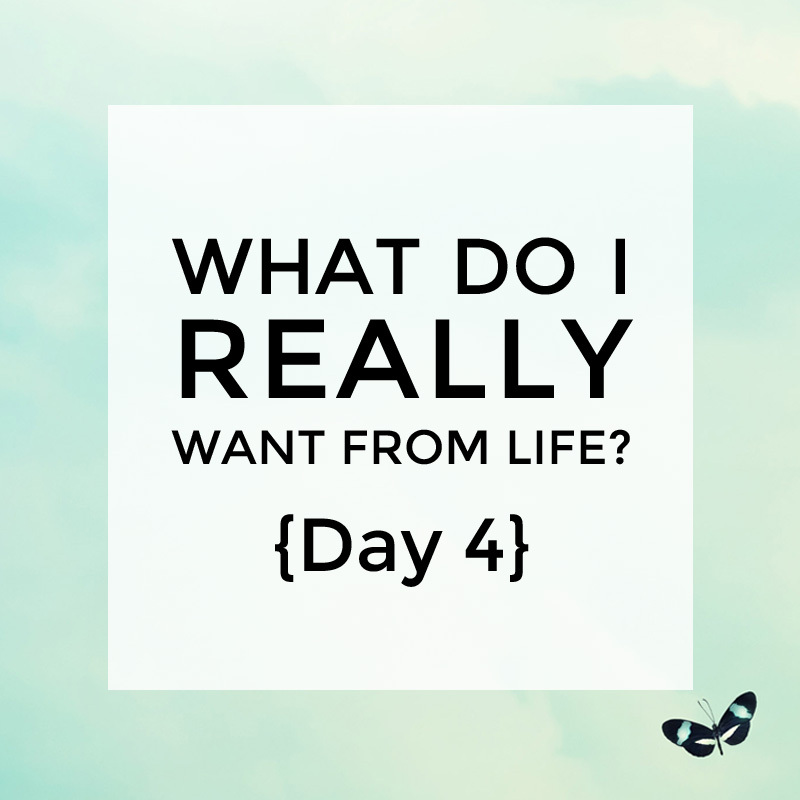 Hello there and welcome to Day 4 of ‘What do I really want from life?’. Today, it’s time to dream a little. I want you to tell me what a perfect day looks like for you. No, we want a perfect day that could actually happen. One that, if this was every weekday for you for the rest of your life, you’d be happy with. My perfect day involves waking early before the rest of the house and having an hour or two to myself to do whatever I want. I’d then be able to get my kids ready for school with a minimum of fuss before walking with them to school. Upon my return home I’d have five hours at my disposal in which to work my way through three hours of writing and a bit of home admin. I’d then make my way in an unhurried fashion to pick my kids up from school and they’d be able to have a play with their friends while I chat with the other school mums. Once home we’d find Ant waiting there for us and we’d spend the rest of the afternoon playing in the backyard as a family and meandering our way through our evening routine. At 7.30pm the kids would go to bed and Ant and I would have some time to hang out together on the couch before heading off to bed. The biggest thing about my perfect day (you will notice) is lots of quality family interaction, lack of rushing, and time: time for myself; plenty of time to get work done (yes my perfect day involves always having some kind of ‘work’ to do). When I first wrote out my perfect day about a year ago, my days looked nothing like this! Fast forward to now and it’s actually pretty close. And getting closer with each passing month. Knowing exactly how I want my days to pan out means I’m able to filter all requests that are made of me through the question “what impact will this have on how I know I want my days to look like?”. What does your perfect day look like? I’d love to hear about it in the private Facebook group. You can also download the worksheet for today here.